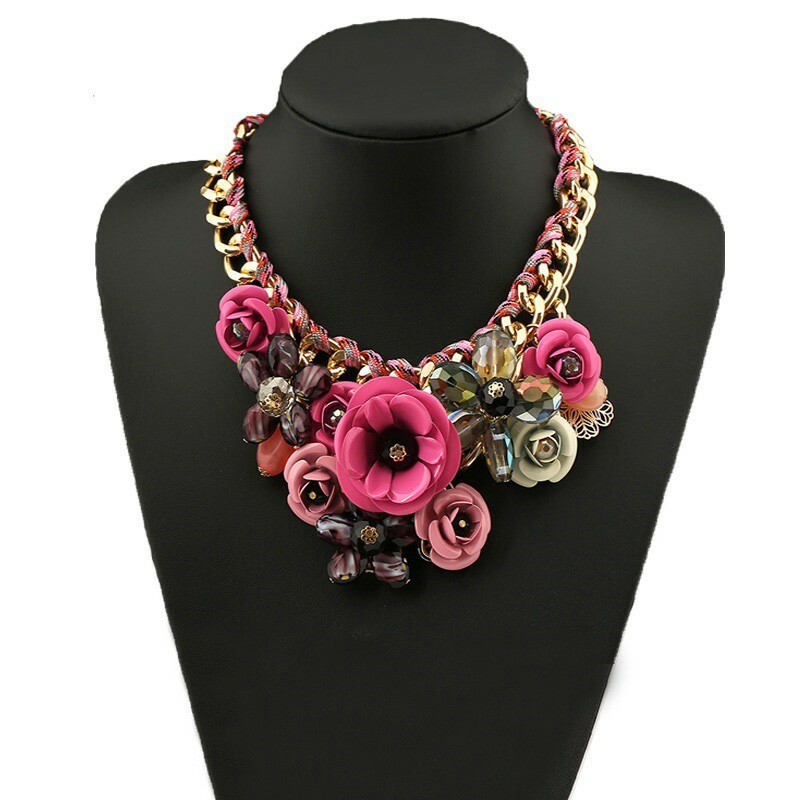 Evoking a bold & modern appeal, under with this unique statement necklace. Fashion colorful large flower design, made with high quality pure resin and nickel free yellow alloy, six different beautiful color, and a convient metal lobster clasp. Approximate perimeter 45 cm, and 5 cm extender.